Hi Devin. 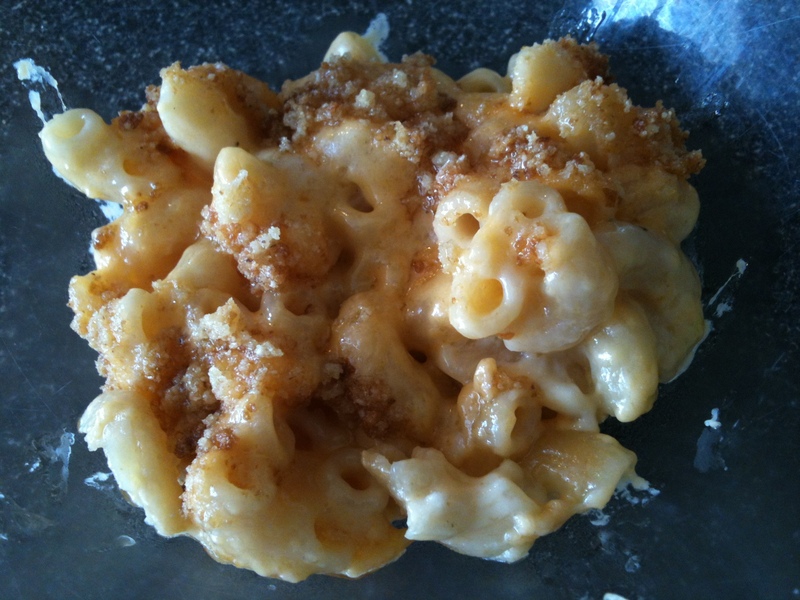 You can use pretty much any recipe for mac & cheese using gluten free pasta (I like bionaturae gluten free elbows), make a bechamel using any rice based gf flour blend or plain sweet rice flour. be sure to use gluten free cheeses, some cheeses do contain molds that are fed on wheat. this version from martha stewart converts to gf easily (http://www.marthastewart.com/271998/perfect-macaroni-and-cheese). i use homebaked gf bread or udi’s white and whole grain gf bread to make bread crumbs.